When I joined Intuit® 18 months ago, it was right at the time Intuit announced its release of the all-new, redesigned QuickBooks® Online (QBO). In my mind, after years of hearing “go to the cloud” from everyone in the accounting profession, I figured I’d be riding the new QBO’s coattails into firm after firm. I saw myself as some kind of knight in shining QuickBooks’ green armor, helping firms move all their clients over to the cloud … but what I actually walked into was completely different. I knew that legacy QBO experiences, along with loyalty to QuickBooks desktop, would factor into a firm’s’ ability and enthusiasm in migrating their client base, but this was nothing that education and some product training couldn’t fix. However, I wasn’t quite anticipating the amount of convincing that still needed to be done to help firms comfortably make that jump online. It’s occurred to me that while it’s easy to tell everyone to get to the cloud, it’s a bit more of a challenge to hold their hand and leap with them – then stick around to help them navigate the new terrain when they get there. I’ve started likening it to telling everyone to go to a particular city, but forgetting to give them a map or GPS to use when they get there. Enter my dual role of personal trainer meets cheerleader that this job has required. Not that I’m complaining; as a dedicated athlete and fierce competitor, I’m always up for a challenge, and nothing is sweeter than the taste of victory. With accountants busy trying to make a living and serving their clients, we can’t just sit back and assume that learning new systems and how to use them to make their lives and their clients’ lives more efficient will be a no-brainer. Sometimes, we need to provide some extra coaching along the way. When I first met Mark Stricker, a partner at BIK & Co.in Chicago, his interest in QBO and the cloud, in general, was relatively non-existent. With a Twitter handle like @QBExpertChicago, Mark has made a career out of QuickBooks consulting – and has been extremely successful. The past 15 months or so have consisted of almost daily calls, multiple training sessions, deep-dive product demonstrations, talks of value-based pricing models, education on third-party apps to support functionality not currently in QBO natively, a few bumps in the road and even some dead ends. Regardless, there’s been a consistent message from me to him: I’m here to walk through this transition with you to ensure you make it successfully. About a week ago, I got a call from Mark while he was driving home from a new client he had just put on QBO. He was thrilled to share the news that the implementation went off without a hitch and that both he and the client were extremely happy. We chatted about “oh what a difference a year makes” and his insight really resonated with me. He explained that if it weren’t for my constant encouraging and prodding him over the year to get up to speed on QBO and be ready, he wouldn’t be able to onboard a number of clients he’s gaining today, many of whom are asking for QBO themselves vs. waiting for Mark to suggest it. We virtually high-fived each other and enjoyed a few minutes of victory … then immediately started searching for the next challenge to tackle. At Intuit, we can’t guarantee that the migration from a desktop workstation to an online environment will always be without glitches, but we can promise that we’re here for you and for your clients, so that you can rest easy knowing that we’ll catch you if the sky ever starts to fall. As a National Business Development Manager at Intuit, Kim Austin works with Accounting firms to help transition their clients from a desktop-based accounting world to QuickBooks Online. She brings more than 12 years of experience in the document management, workflow, accounting, and Cloud technology space. 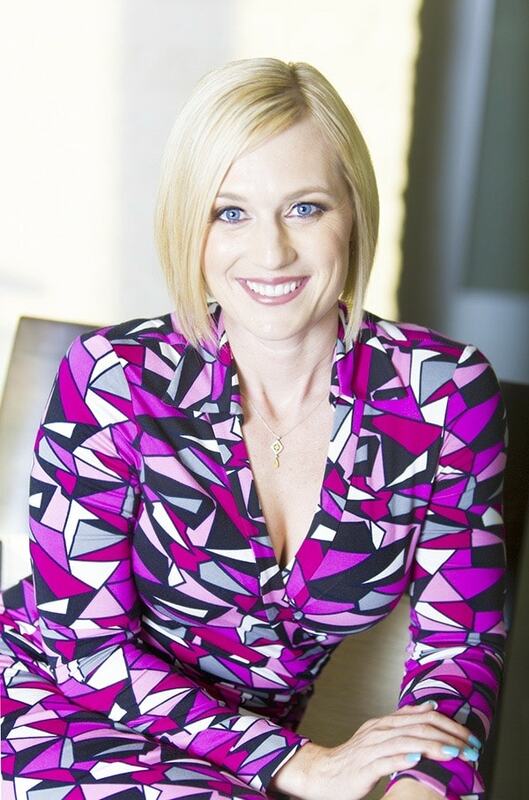 She has been recognized five times by CPA Practice Advisor as a 40 Under 40 honoree, dubbed by CRN Magazine a Woman of the Channel the last four years and named to Accounting Today's 100 Most Influential People in Accounting. Her passion is delivering amazing customer service to her clients and her partners. Find her on Twitter and Instagram @Kimtuitive, or follow her blog: www.viewfrommyshoes.com.